Mon.-Thu. 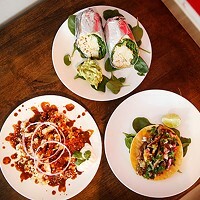 lunch 11:30 a.m.-2:30 p.m., dinner 4-9:30 p.m.; Fri.-Sat. lunch 11:30 a.m.-2:30 p.m., dinner 4-10 p.m.; Sun. 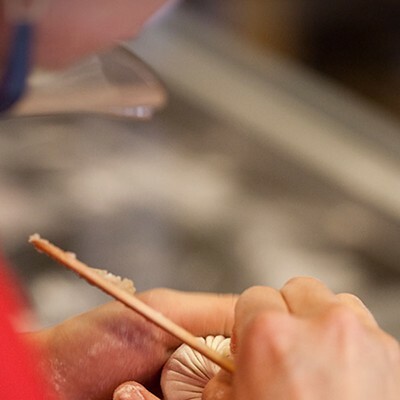 11:30 a.m.-9 p.m.
Dinner and a show is an enticing promise, but when the two are combined in the same venue — whether it's banquet chicken and shtick or hibachi and fancy knifework — it's rarely a recipe for good eating. But Squirrel Hill's newest Asian restaurant delivers good food paired with a great view of how it's made. 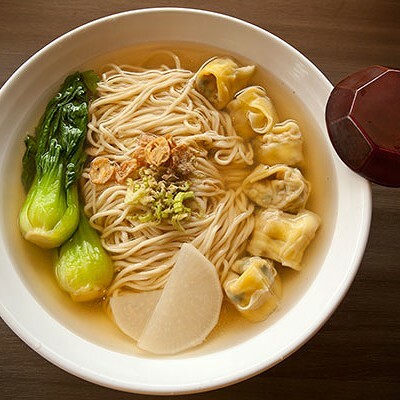 Everyday Noodles brings a new approach to Chinese dining to Pittsburgh: Rather than casting a broad net or even focusing on a region and its cuisine, its menu is organized around myriad forms of wheat-pasta dishes, including noodle soups, "dry" noodles served with sauce and toppings, dumplings, wontons and potstickers. A few rice dishes, non-noodle soups, steamed vegetable plates and dim sum buns and pancakes round things out. 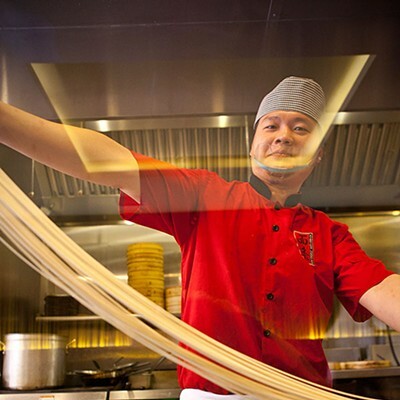 But the essence of Everyday Noodles is the continual preparation of the noodles in full view of diners. 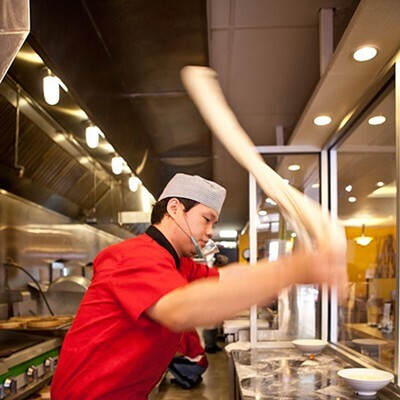 Atop a marble counter, behind a broad Plexiglass wall, an ongoing rotation of talented visiting chefs stretch, slap, twist and divide mounds of dough into slender tendrils are dunked in boiling water and combined with other ingredients to prepare various dishes. The intermission show of dumpling fabrication adds another dimension of choreography among the roller, stuffer and pincher. This activity would be an interesting sideshow if the food were indifferent, but Everyday Noodles' offerings stand on their own. Seated at a table out of view of the dough work, we were won over by the products of the kitchen before we saw it in action. Not everything wowed us; of the eight or 10 dishes that our party ordered, some certainly vanished faster than others, but this was a matter more of individual taste than of quality. 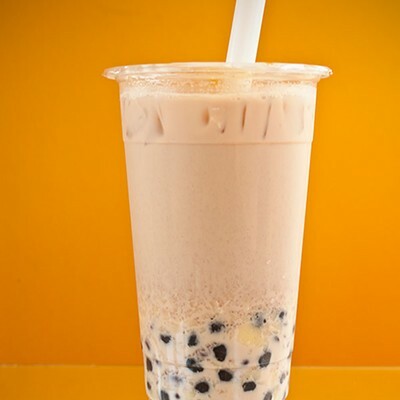 Freshness is the byword at Everyday Noodles, and those looking to broaden their palates will find plenty of opportunity on a menu that includes beef tendon, jellyfish salad and shrimp with loofah soup dumplings. Unfortunately, those last are available only on Sunday, so we contented ourselves with pork and crab soup dumplings. 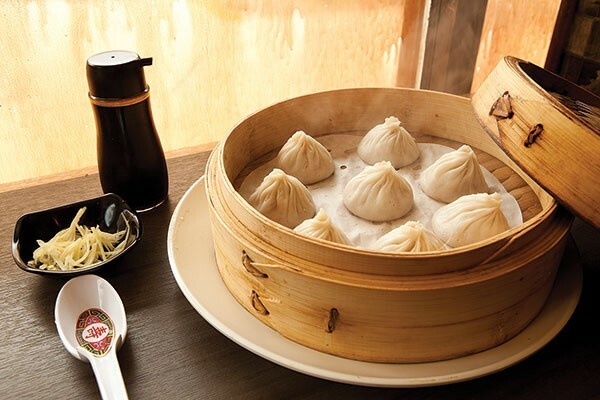 We've had soup dumplings — in which the soup is, improbably, contained within the dumplings rather than other way around — that tended toward a tongue-scalding stunt rather than satisfying dim sum. But these were simply extraordinary, with morsels of ground pork and sweet crabmeat in a broth that tasted of the very essence of umami, seemingly thickened by its contact with the dumpling dough. Pork and vegetable potstickers came in a sort of pack bound together with a thin, lacy sheet of dough. 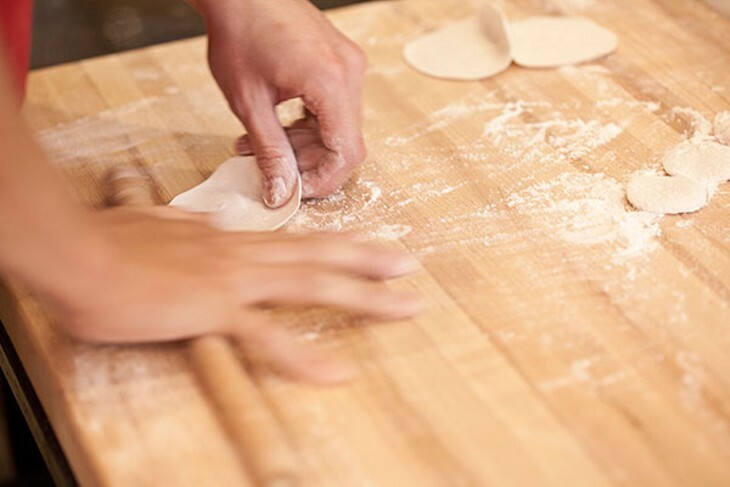 This gave every dumpling a crispy, browned outer layer that contrasted pleasantly with the softer texture of the unexposed wrapper and filling beneath. An appetizer of woodear mushrooms and tofu skins provided a substantial vegetarian option. The woodear were crunchy and earthy, while the tofu skins — which are exactly what they sound like — possessed an intriguing, tender, wrinkly texture. Almost resembling a sort of noodle, the tofu skins were a reminder that texture frequently matters almost as much as flavor in many Asian dishes. Another vegetable dish, steamed baby bok choy, came in a savory-sweet oyster sauce with just enough body to cling to the tender leaves and crunchy stalks. A scallion pancake was surprisingly resilient. We like mustard greens, but the strong vinegary flavor of those in the pickled-mustard-green noodle soup was unbalanced by the mild broth and relatively scanty shreds of pork. The best bites included bits of the flavorful meat and slightly sharp yet earthy daikon. A bowl of braised pork belly over rice featured the same greens, but the predominance of plenty of tender, fatty pork belly with a mere garnish-size portion of pickled daikon shifted the balance of flavors, making this dish much more successful. Cold Taiwanese-style sesame noodles, topped with a nest of matchsticked cucumbers and coated in a thick sesame paste, tasted bland at first. But once we realized there was a savory broth at the bottom of the bowl, we put our chopsticks to work mixing things up, which deepened the flavor considerably. Still, it was the hot Szechuan version of sesame noodles, dan dan, that made the biggest impression, with their perfect melding of sweet, spicy, salty and savory flavors. 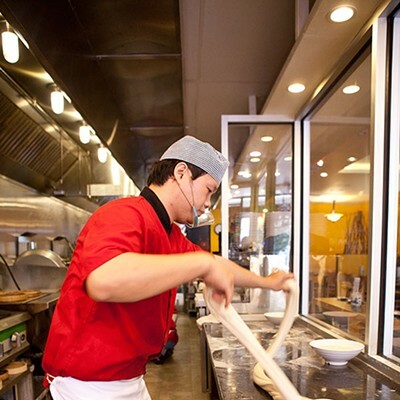 From making the noodles to eating them, Everyday Noodles offers a dining experience that belies its name.